this is me in my element. 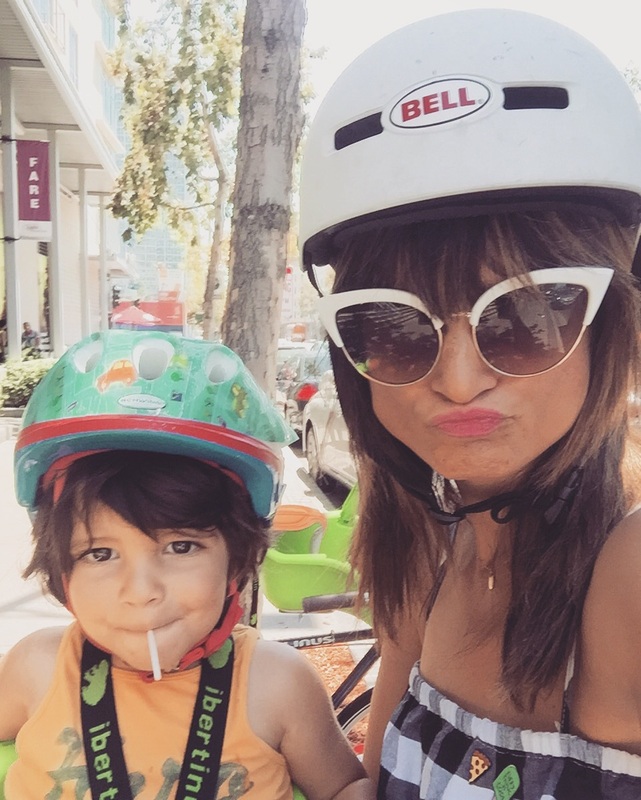 on a bike, with my little babe, wind flowing throw my hair. this is where i am confident as a mama and as a human being. 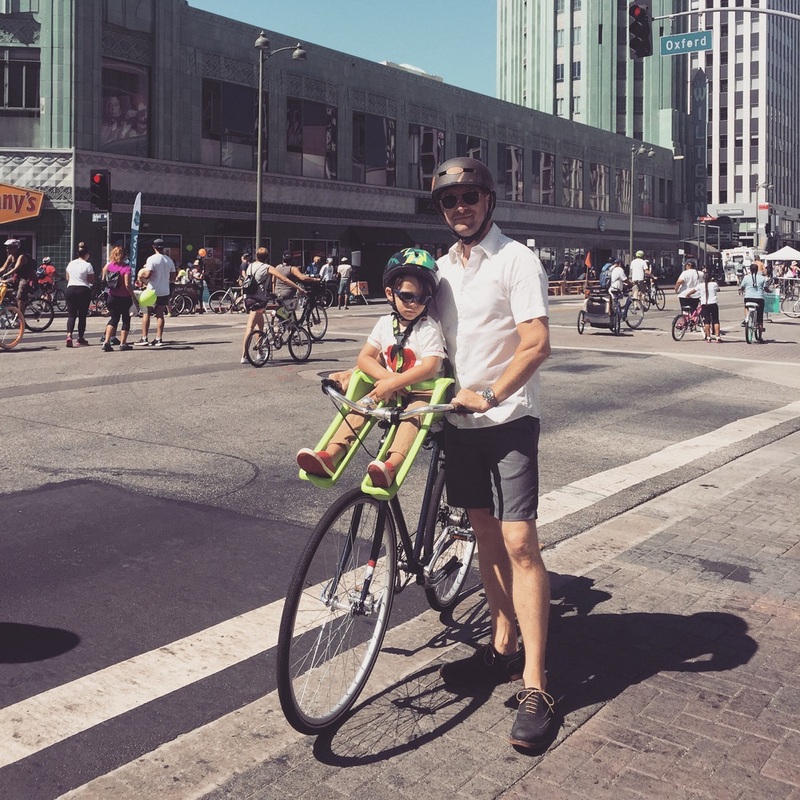 this is me and my adorable bike gang taking advantage of CicLavia, a non-profit organization that temporarily closes streets to car traffic and opens them up to use as a public park. 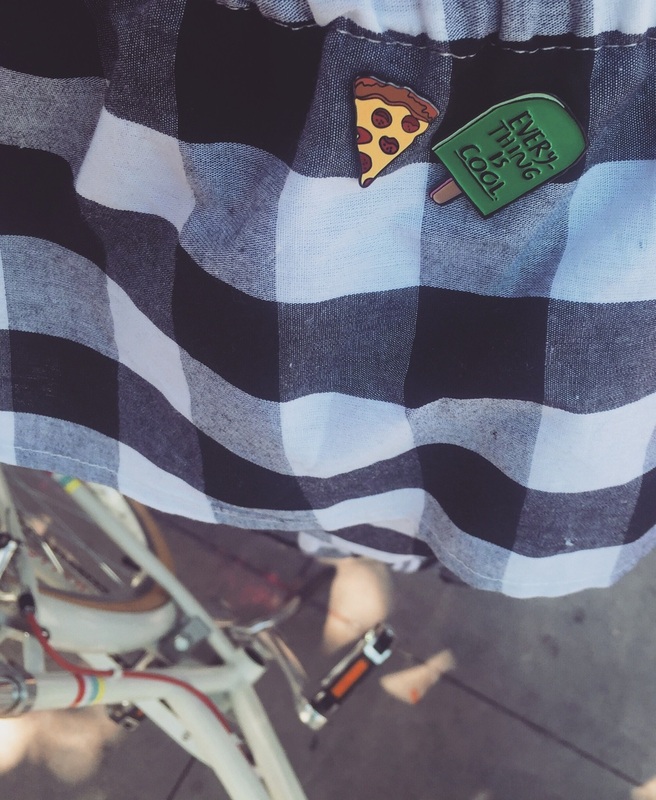 people are free to walk, skate, bike, play and safely explore parts of los angeles. 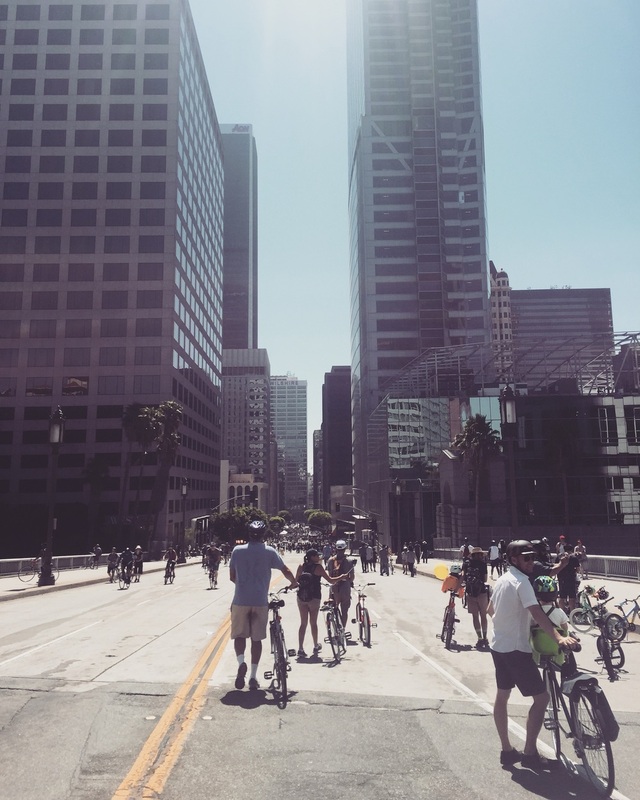 we have participated in most of their past events but the most recent ride along wilshire boulevard might be our favorite yet. one of the reasons we liked this ride best was because we were able to ride to the starting point at wilshire + wiltern. that and the streets are incredibly wide so it never felt too crowded. 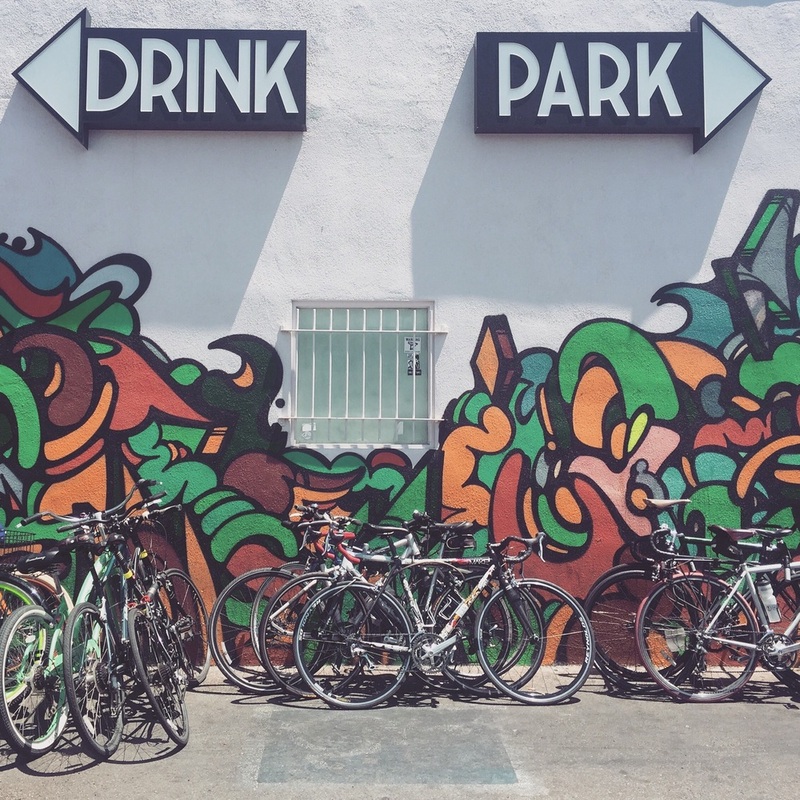 the course led us through the neighborhoods of koreatown, westlake and downtown. downtown we know really well, but we rarely frequent koreatown and westlake. passing through via bike made it easy to what they had to offer. normally it's pretty crowded with car and pedestrian traffic, which is why events like these are so important. they really bring the vast communities of los angeles together. we had to make a stop to let boys wiggle their legs, run, scream or whatever. 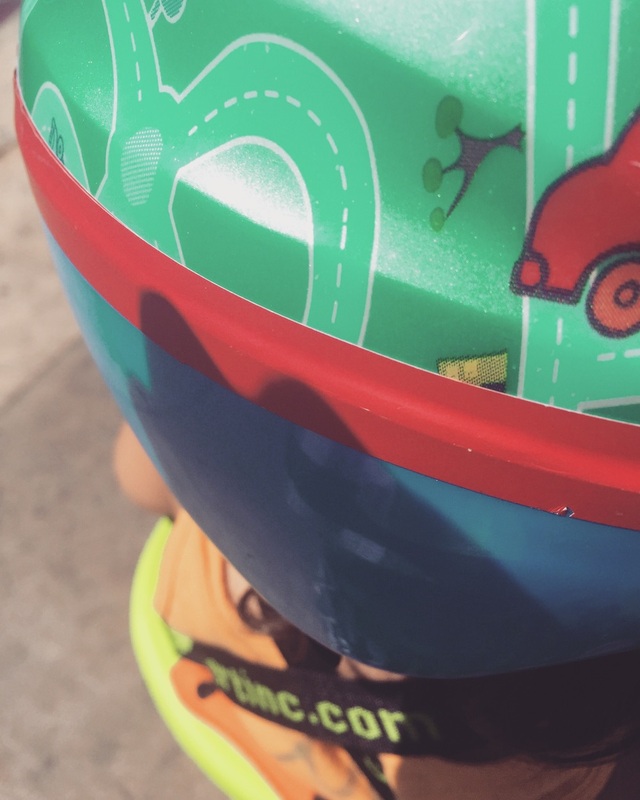 and while they love to ride, after a bit the constraints of their helmet and seat straps really start to bug. we then made another stop so max could go potty! did i mention max is now almost 100% potty trained? well he is! working on a post about that. also working on gearing myself up to going through it all over again with this guy right here. so where can a cheek get a beer around here? lol, we finished the course and decided to stay in koreatown to reward ourselves with some yummy food and drinks. beer belly was the obvious choice. because it's awesome and by the looks of it, VERY BIKER FRIENDLY. we highly recommend the ktown cheesy corn + french fries with "frankenstein" ketchup. we asked what was in it but they wouldn't tell us. i suspect there is a bit of a vinegar hot sauce or siracha in that crack sauce. it's seriously so good and very spicy. they also have a great beer list and craft sodas. our kind of place! knox suggests trying out the buzz lightyear. because knox. once our bellies were full and happy we rode home. on the way knox took a well deserved nap after doing zero peddling. and i smiled like this the entire way.